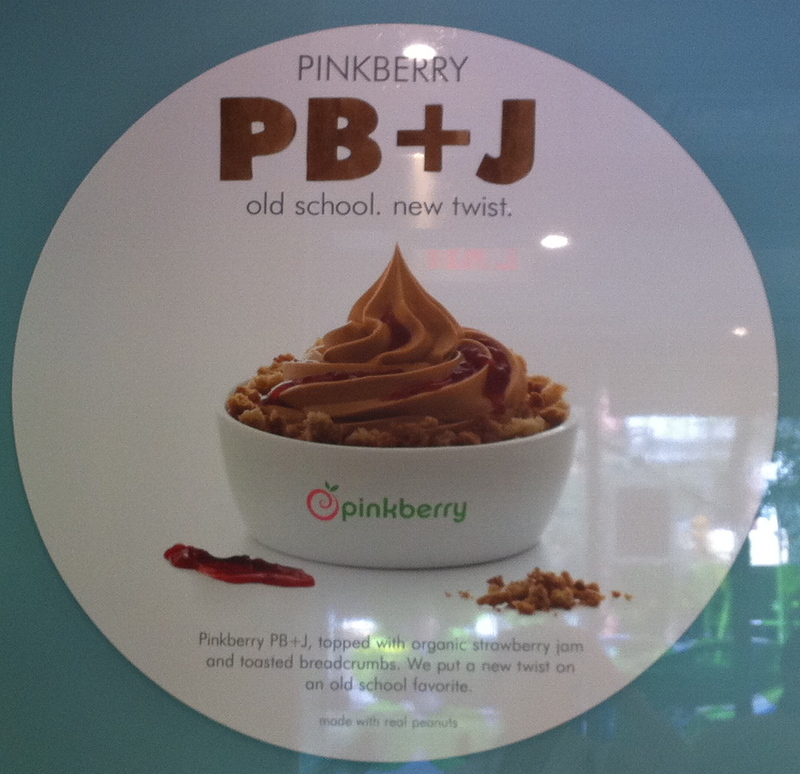 Pinkberry recently launched Peanut Butter as the new seasonal flavor. It is being promoted as PB+J with a recommendation to order it topped with organic strawberry jam and toasted breadcrumbs. Nonfat milk, sugar, peanut butter (peanuts, sugar, peanut oil, salt), cultured pasteurized nonfat milk with live and active cultures, contains less than 2%: cultured nonfat milk powder, fructose, dextrose, natural flavors, citric acid, guar gum, maltodextrin, mono- and diglycerides, starch. Overall, Peanut Butter is a great addition to the line-up. 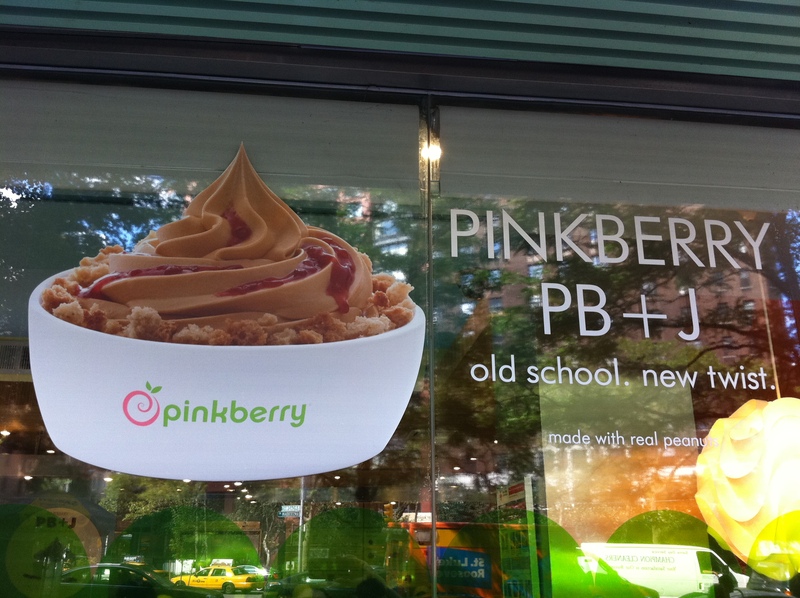 And with the popularity of PB+J among Americans of all ages, it’s sure to be a success. Perhaps it will be converted to a permanent flavor? What do you think? The closest locations to my five blocks are 2041 Broadway, between 70th and 71st st. and 313 Columbus Ave between 74th and 75th st.